Students from the CEIP José Soriano Ramos all want to hug Álvaro on his visit to their school. Back to school. This afternoon, Villarreal CF centre back, Álvaro González, visited the CEIP José Soriano Ramos school in Vila-real, as part of the Yellow Kids Club (Club Groguet) iniciative. 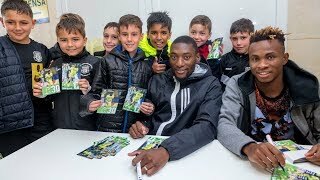 Villarreal’s number 12 had fun with the school kids, answering their questions and sharing stories, and the youngsters were thrilled to spend time with their idol up close and get his autograph. As if that was not enough, the students also got to have a kickaround with the professional footballer in the school gym. A day they will never forget. This is the eleventh edition of 'A Star in your School' this season. Previously, Andrés and Mario visited the CEIP Carles Selma school, Trigueros and Barbosa did the same at the Pío XII school in Vila-real, Santos Borré and Rukavina went to the Colegio Felicinda Collell school in Càlig, Trigueros and Rodrigo went to the Colegio San Agustín in Castellón, Bakambu and Jonathan went to the Nuestra Señora de la Consolación school in Burriana, Bonera and Álvaro visited the Agora Lledó International School in Castellón, Jaume Costa and José Ángel gave the Fundación Flors school a tour of the Estadio de la Cerámica, Bruno went to the CEIP Josep Iturbi school in Burriana, Adrián went to the Colegio Nou Pedro Alcázar school in Nules and in the most recent edition Bruno went to his childhood school, the CEIP Carme Martín school in Artana. 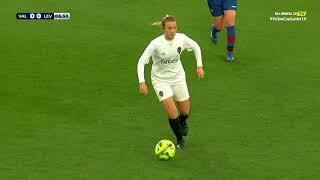 This initiative was also carried out all of last season too and the players will continue to visit different schools in the Castellón province. 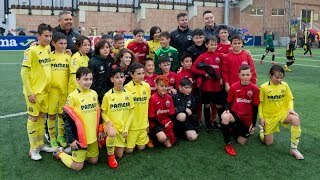 In addition to the interview with Villarreal stars, schools from the Castellón province are also entitled to a free training session coached by Villarreal coaches and a guided tour of the Estadio de la Cerámica. To see the best photos from Álvaro González’s trip to the CEIP José Soriano Ramos school just click on the 'Gallery' tab above.